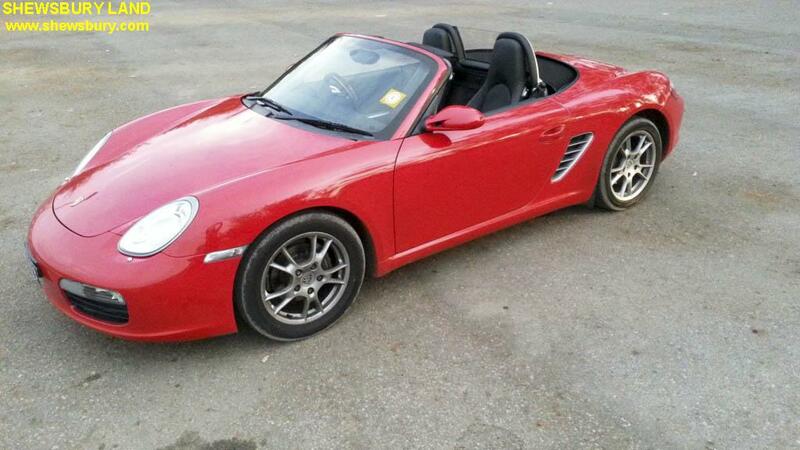 This is a 1/18 scale die cast car model of Porsche Boxter 1996 Model 986, the first generation of Boxster series. In 2005, Porsche unveiled the second generation of Boxster: the type 987. The 987 is more powerful than its predecessor and featured styling inspired by the Carrera GT. Engine output increased in 2007, when both Boxster models received the engines from their corresponding Porsche Cayman variants. In 2009, the Boxster models received several new cosmetic and mechanical upgrades, further increasing engine output and performance. The third generation Boxster (type 981) was launched at the 2012 Geneva Motor Show. This die cast scale model is produced by UT Models (company name = UT Limited). UT Limited (Unique Toys) was a company which manufactured 1:18 scale model cars in the 1980s and 1990s, trading as UT Models. They were typically of good to high quality and were a bit more expensive than their direct competitors. The company closed at the end of the 1990s, but the essence of the brand is now associated with Gateway Global Ltd which produces models under the AUTO Art brand. I found this model in one of the local shop specializing in hobby and toys stuff related to cars and military vehicles. From the box, I can tell that this is an old stock and when I saw it, I love it and grabbed it. Since I drive the red Boxster (usually I tend to call it as "Red Dragon" in Facebook), it's natural that I would want a red colored die cast scale model. Therefore even though this one is the previous generation model, I don't mind about it coz the main selling point to me is the color and the 986 does not look much different than the 987 actually, just minor updates between them. Interior details is very good, I'm not sure how the interior of the 986 with manual transmission looks like but I guess it's more or less as what we can see from the pictures. On the front side, apart from that spare tire which is not available in the "Red Dragon" that I drive, the rest are the same. Apart from the red color, another reason I bought this item is the attractive price of SGD 50.00 (about USD 40.00 / EUR 32.00 / 3,147 Yen). The one from Auto Art available in one of the local toy shop in here are mostly the "Porsche Boxter S" - the "high end" version of this Boxster with bigger engine power - price wise, those from Auto Art cost around SGD 190.00 (about USD 152.00 / EUR 122.00 / 12,000 Yen) and I don't see any red color. Apart from that, in some other toy shop, I saw a Porsche Boxster 987 from Maisto with SGD 45.00 price tag (about USD 36.00 / EUR 29.00 / 2,832 Yen) - however, it comes with silver color - or is it grey. 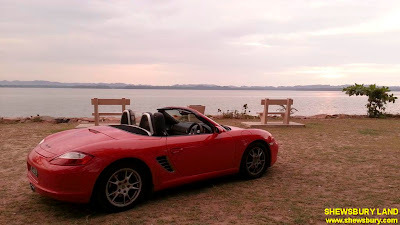 The Porsce Boxster is a mid-rear engine roadster and this promise better handling and lots of fun while driving for a mere amateur like me. I never see how the engine looks like coz basically it is located behind the seat.